Wool & Co. is celebrating “Mad May” & we would love to have you join the celebration! 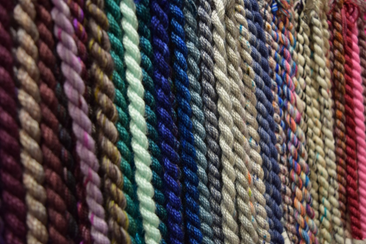 Throughout the month of May, we are celebrating all things Madelinetosh. For those of you yet to experience the knitting joy; Madelinetosh is a Texas based hand-dyer of yarn, using only ethically sourced, luxury fibers from around the world. With over 100 colorways, ranging from speckles & tonals to variegated & outrageous brights, there is truly a color for every project! To kick off the month in true Wool & Co. fashion, we are unveiling our newest addition to give knitters even more exciting yarn choices- The Madelinetosh Custom Shop! In 1-2 months, Wool & Co. will ship your custom order to you or you may pick up in store! 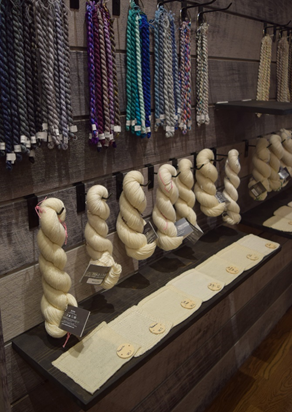 To continue the celebration, every time you make a purchase at Wool & Co. from May 5- May 31, you will be entered in our raffle where the grand prize winner will receive Madelinetosh for a Year! Each month, the winner gets to choose a skein of Madelinetosh yarn. Three other lucky winners will receive a skein of Tosh Merino Light. Of course, Friday is not complete without our pattern of the week. The What the Fade?! 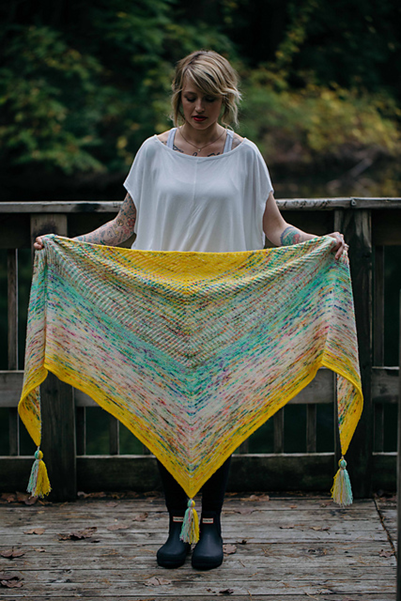 Shawl by Andrea Mowry is the perfect opportunity to break out the Tosh Merino Light & have some serious fun with color. 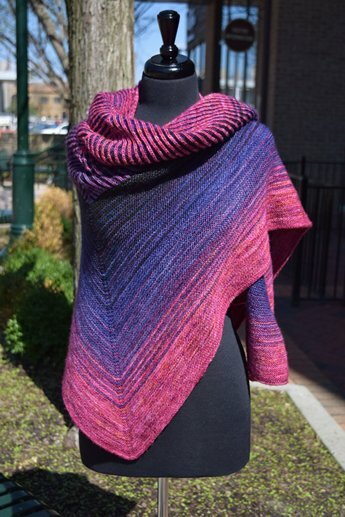 Stop by the store to enjoy the stunning garment sample knit by Laura Keiken. The pattern is available to purchase in store or on Ravelry. 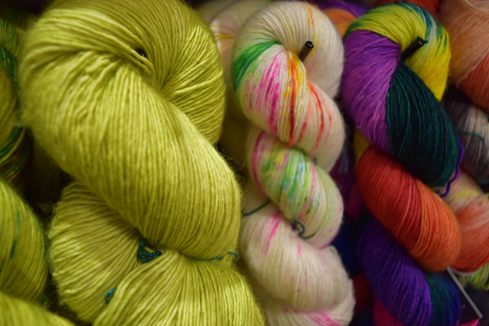 Just in time for the shawl is our latest shipment of Tosh Merino Light bringing our color range up to 120 colorways! Visit us in store or online to “get your Tosh on” & see our new displays & offerings.